GAINESVILLE, Ga. — With Dawson County trailing 14-10, the Tigers’ Kolton Brumbelow took the second half kickoff at his own 1-yard line and streaked down the Tigers sideline on an electrifying 99-yard touchdown run that started a 35-point second half outburst and led to a 45-27 romp over host North Hall Friday. Dawson County (3-1, 1-0) outscored the Trojans 10-0 in the first quarter on a Peyton Allen field goal and an 18-yard scoring pass from senior quarterback Coey Watson to Nick Murphy. 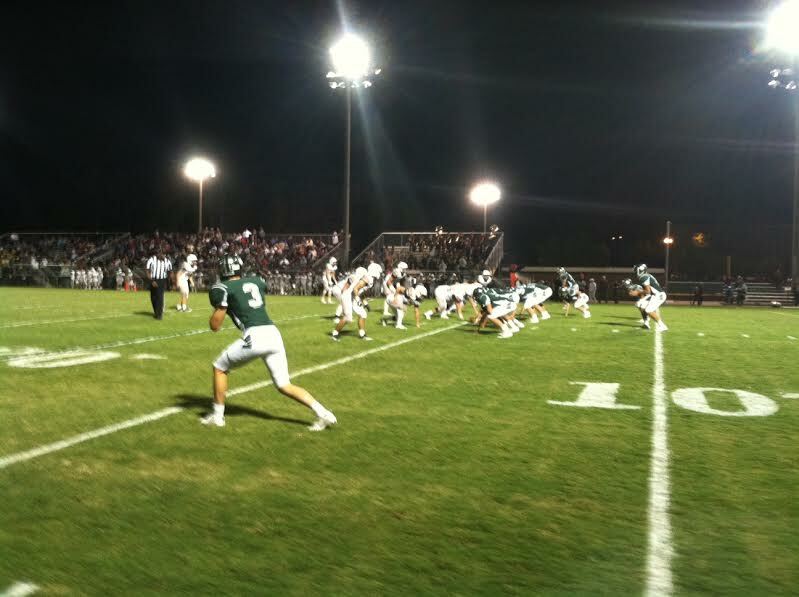 But the second quarter belonged to North Hall (4-2, 1-1) as the Trojans rallied to a 14-10 lead. Junior Jack Brown accounted for both of North Hall’s first half touchdowns. He scored the first on an 8-yard run to cap a 72 yard scoring drive. Cutter Sanford picked off a Watson pass and returned it to the Tigers 49 to set up the Trojans next score. This time, Brown bulled his way in from the 1 to stake North Hall to a 14-10 lead at halftime. Whatever Coach Sid Maxwell said to his team at halftime was golden. Sparked by Brumbelow’s electrifying kickoff return to start the second half, the Tigers reeled off 35 straight points to put their Region 7-AAA opener away. Watson completed 19 of 28 passes for 223 yards, including touchdown passes of 18 and 26 yards to Murphy. Payton Myers had another good night running the ball. He rushed for 107 yards on 12 carries, including a 33-yard run. Wide receiver Austin Young was the Tigers leading receiver with 7 catches for 86 yards. The Tigers return home next Friday to play Union County. North Hall will host East Hall.